« Pickings from below the flight path. The peak of Peony season is upon us! Isn’t it just great to be able to get your hands on such incredible flowers which have not had to be flown in from Kenya or Dubai! 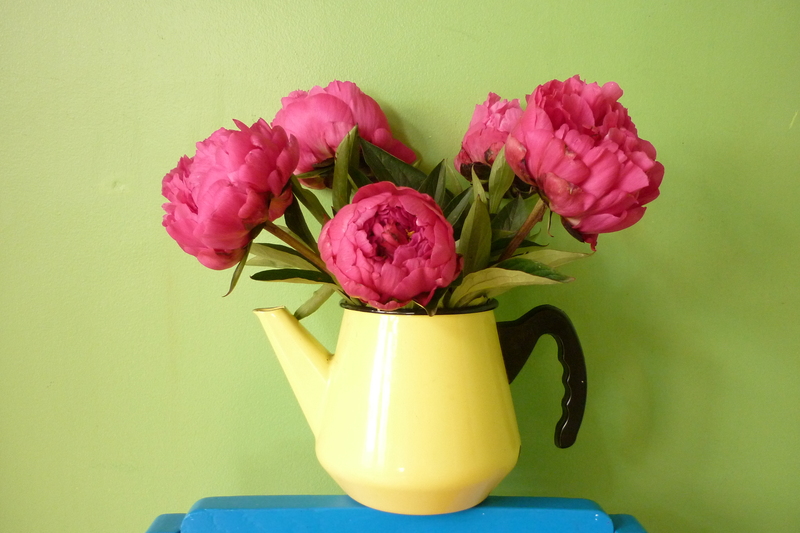 British Peony season doesn’t last for long and they are not that easy to find, Marks and Spencers seem to have a good stock of them. they not surprisingly have featured heavily in art throughout the centuries. I think they look great stashed in an old vintage tea pot of coffee pot, it nearly makes me want to get my paint brush out!